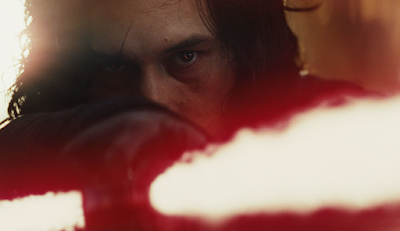 With San Diego Comic Con and Disney's D23 Expo both taking place this July, fans have wondered which convention would be the place we would get our next major look at Star Wars: Episode VIII The Last Jedi. It looks like we have our answer. New reports suggest that a behind the scenes sizzle reel (similar to the one we got for The Force Awakens at SDCC 2015, and for Rogue One at Celebration Europe in 2016) will debut during the Disney Studios presentation on Saturday morning. Collider's Steven Weintraub tweeted out today that he was, "hearing we're not getting a new 'Star Wars: The Last Jedi' trailer at D23 or Comic-Con. Heard some new behind-the-scenes footage at D23." So does the mean there will be no Star Wars at SDCC? While Lucasfilm won't be skipping the convention, they did confirm to the An Englishman in San Diego blog that, "our presence at SDCC 2017 will be focused on our booth on the convention floor, so there will be no press events or interview opportunities this year." This sounds like their presence this year at SDCC will be similar to their presence last year, when the Lucasfilm booth featured a display of Rogue One costumes (including the reveal of a new character) but there was no major panel about the film. As for D23, that's coming this July 14-16 in Anaheim (the weekend before SDCC). From the sounds of it, Star Wars will have a bigger presence there than ever before. Besides a behind the scenes sizzle reel for The Last Jedi, we can also expect news regarding the upcoming Star Wars themed lands at the Disney Parks.